In October 2016, Anna began a journey to cycle along the spine of the largest mountain range in the world: The Andes. By the time she returned home to the UK in May 2017 she had pedalled through Bolivia, Chile and Argentina cycling over some of South America’s most remote and inhospitable regions. She ascended over 100,000 metres on a bike which is more than eleven times the height of Everest. Saddle up and join Anna (and her bike called Bernard) for a return journey to the Andes from the comfort of your adventure armchair. 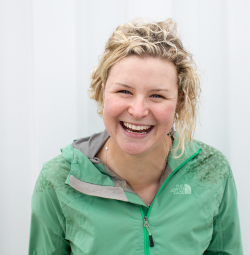 Hi, thought this Lecture may be of interest http://www.wildernesslectures.com/speaker.php?id=232 ----------------------------- In October 2016, Anna began a journey to cycle along the spine of the largest mountain range in the world: The Andes. 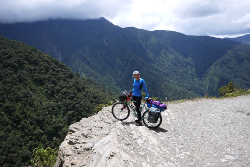 By the time she returned home to the UK in May 2017 she had pedalled through Bolivia, Chile and Argentina cycling over some of South America’s most remote and inhospitable regions. She ascended over 100,000 metres on a bike which is more than eleven times the height of Everest. Saddle up and join Anna (and her bike called Bernard) for a return journey to the Andes from the comfort of your adventure armchair.